Next week, a flock of local and international design experts will descend upon Sydney to discuss the future of workplace design as part of the Work Place / Work Life forum. The forum will take place at the Eternity Playhouse in Darlinghurst on Tuesday 29 August. Four keynote sessions, three case studies and a moderated panel discussion will comprise the full-day program. The conference will kick off with a keynote presentation by Steven Holl Architects’ Beijing-based director, Roberto Bannura, entitled ARCHITECTURE AS A SOCIAL PLATFORM. The presentation will explore micro-urbanism through the lens of Bannura’s own work. In the last two decades, Steven Holl Architects’ engagement on international urban projects of varied sizes and characteristics has been the basis of its work in micro-urbanism. Attempting to create “cities within cities,” the firm’s work has been directed at the creation of vibrant and integral urban platforms. These platforms promote social interaction and community formation while responding to all demands of contemporary living, through the integration of social space, culture and arts, and complementary residential and commercial functions. In this lecture, Roberto Bannura will explore the key examples from Steven Holl Architects’ international portfolio that best portray the firm’s inspiring work on this subject. Other keynotes will come from Eric Parry, founder and principal of UK-based Eric Parry Architects; Caroline Burns, director of Singapore-based Workplace Revolution; and Robbie Robertson, a partner at Deloitte Digital in Sydney. Case studies to be presented on the day include Gensler’s Dropbox Sydney design, WeWork Martin Place and Pyrmont by TomMarkHenry with WeWork, and the HASSELL-designed Clayton Utz offices. 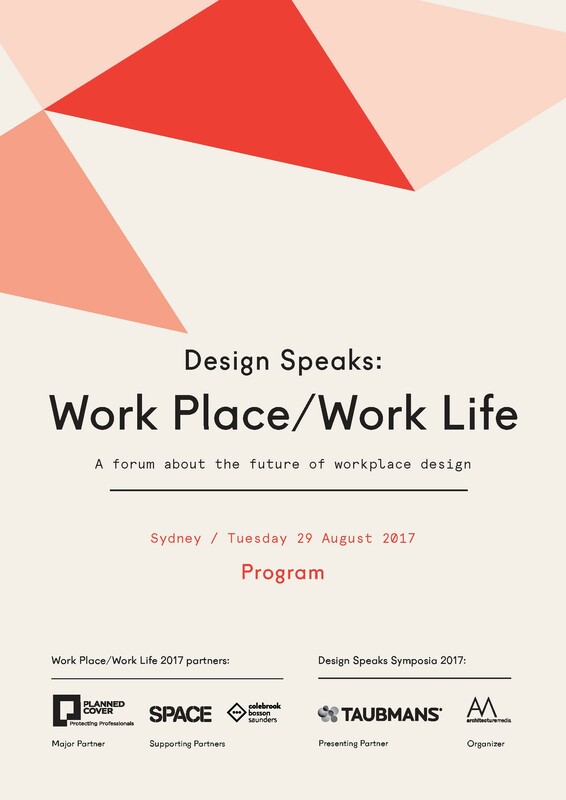 About Design Speaks: Work Place / Work Life: The annual Work Place/Work Life forum brings together Australasia’s leading practitioners. In 2017 they will gather at Eternity Playhouse in Darlinghurst to discuss the issues shaping workplace design, share their experiences and speculate on possible futures. The four keynote sessions and three case studies will be followed by a moderated panel discussion in which panel members will draw the audience into the conversation. About Roberto Bannura, Steven Holl Architects (China): Roberto Bannura joined Steven Holl Architects in 2007, and in 2010 was made director of the Beijing office. Bannura has been responsible for large-scale and institutional projects across Asia.